Average 3.06/5 out of 54 total votes. Wolverine, Deadpool, Doctor Doom, Thanos: There’s one hero that’s beaten them all—and now she’s got her own ongoing series! (Not that she’s bragging.) 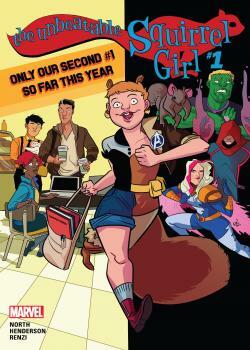 • That’s right, you asked for it, you got it, it’s SQUIRREL GIRL! (She’s also starting college this semester.) • It’s the start of a brand-new series of adventures starring the nuttiest and most upbeat super hero in the world!